Long before the days of the Internet, all life in the Universe was interconnected in another way. People looked up and saw an uncountable number of stars in the sky. As was the custom, a storyteller created a tale to explain this natural wonder. The god Indra was regent of the heavens. He managed this enormous responsibility for every act, every event, and every person throughout the Universe by creating a magnificent silver net that stretched infinitely in all directions. At each connection of the net’s threads, a brilliant jeweled mirror reflected everything happening at every other location. People felt securely held in this net. It was clear that they were connected to all other beings and to every place on the Earth, and that every thought and every action had an impact. But every fisherman’s net frays at times, and as artificial light has dimmed our nightly awareness of the movement of stellar bodies on their paths through the Universe, we have lost our sense of occupying a place in universal light. The vitality of places of power on the Earth have begun to fade without our appreciation, awe, and care. Humans have begun to suffer from the lack of soul food our connection to such special places provides. Now, you’re invited to take part in mending the net. In the course of your life, you’ve probably had one or more peeks at the net. Describe an experience that made you feel part of the larger whole of life. Where did you experience that moment? What had you brought to that moment –perhaps gratitude, adventure, surrender, or sorrow? Remember how it began. Did it take you totally by surprise? Call up the sensations of being there – the physical sights, the sounds, the fragrances. What happened? What have you carried forward in your life’s journey from that experience? Wherever you live in the world, whatever your journey, you occupy a node of Indra’s net. As we relive these moments, we remember that we are children of the Universe, guardians of the Earth, nodes in Indra’s net. Share your story, and a photo if you like. You can either comment on this blog, or send an email to Ginny. There was a night a few years ago when my aunt and I stepped outside my grandmother’s house to say goodnight and continue on our path towards bedtime, when we became completely awestruck by the vast field in front of us. There were thousands and thousands of fireflies lighting up all that was in front of us. The closer we got to the fields and the farther we walked away from the house, the more the fireflies seemed to surround us with insurmountable beauty. This is the moment we became completely immersed in this space in time – space for a sight with such intensity and amazement never seen before. The only thoughts we had were questions of how the fireflies were so incredibly enchanting, brighter, and more abundant than ever before. My aunt grew up in this same place that I grew up as a child. In her 55 years and my 24 years, we had never seen the fireflies quite like this. We asked each other, “did school let out later and we were too busy studying to see this?”, “is there some kind of weather pattern this year that has made this occur?”. Even with all of our questions, we spent an uncountable amount of time staring, declaring “wow, look at them!”, smiling, and walking around to see all the views of these twinkling, busy, beetles of bright stars on earth. They were making patterns against the trees and against the grasses, ever changing. At some point, we decided that my grandmother must see this. She was in bed, thought the house may have been on fire because of our excitement and urgency, but she got out of bed and was never disappointed that she did. She was unable to walk the driveway and fields with us, but she watched from her high front porch. We watched in astonishment and in peace. I felt the insignificance in the long run of the things that had been stressing me out. I felt like a small person in a big, big world, where the heavens, the cosmos were being reflected down to the earth. And all of us were connected. We went out each night to watch, listening to the whippoorwills and the frogs, and some nights being fortunate enough to watch the moon rise in the east. We were connected to each other and connected to all the folks that were able to see this bright, significant firefly summer. To this day, we still talk about these incredible nights. The moment I see the dark, ominous cloud across the lake and feel the strong wind whip tangled hair across my sunburned face, I know something big is coming. I help my uncle haul the old rusted rowboat farther up the beach, so it can’t get swept away by the rough waves that are already starting. We watch the water get darker, greener, like an ocean. I can feel goose bumps rise on my bare arms and legs as the breeze grows even stronger, through my clothes. I shiver and turn away from the water. A light drizzle starts as we walk up to the cabin. We hurry as not to get too wet. I can see my grandpa moving chairs from the screened-in porch to the indoors, so their old cracked legs don’t get wet and soggy with the rain. Just then the sky gets darker; it’s as if someone has pressed the “GO” button. I turn just in time to see the first lighting bolt streak across the sky. Just seconds later we hear the roaring thunder. We run to the house, the drizzle has become a downpour. The screen door flies open just as we reach the steps, I close it behind us only to see it whipped open again by the wind. Oh well. We slide across the wet porch and into the warmth of the cottage. Now I see the second flash of lighting through the old crooked window with the yellow curtains. The booming sound is almost instantaneous. As I wring my wet hair out, I sit in the nearby chair to watch the lake, the sky, the world. I grab the old, moth eaten, red blanket to cover my legs, and sit back to take in nature’s show. It is spectacular. The sky now holds fifty different shades of gray. The lake looks beautiful and scary with its deep green waves crashing against the shaking, wooden dock. Just this morning I was swimming there. The sailboat out on the mooring is rocking back and forth so hard, for a second I think it’s going to flip, but it rights itself. The lightning is getting closer and closer, the thunder now sounding at the exact moment of the flashes. The cabin walls seem to moan harder and harder as the gusts get bigger. Finally it is just a constant whistle through the cracks in the wall. Water is everywhere, except in our little cottage. It seems I hear the crash before I even see the flash. The house shakes as if we’ve had a sudden earthquake. I grasp the arms of my chair. The old swinging couch is now slowly creaking back and forth, but no one is sitting in it. That was spooky. Our safe place just shook. That was the forces of nature, and I am amazed. I feel as if I am simply a piece of this huge game of Earth. I don’t need a name or an age, I am just a small ant in a jungle with tigers. I am nothing special. I understand now. I am just another organism. I will remember this moment forever I’m sure. In this moment I have no power, no opinion, no face. I am part of this powerful thing called nature, and I always will be. I’ve never understood why being an Aquarius, my birth is under an air sign when Aquarius is supposed to be the water bearer. Perhaps it is my deep ancestry from the Celts and the Vikings that I love to be on water. Ginny and I have canoed so many miles together in California on the Tuolumne River and the Suwannee in Florida and separately on the Missouri River. My body knows that weightlessness of floating down a river as the river banks pass by–ever changing, ever the same–the mystery of what lies beneath us, blue blue sky above–always entering the green tapestry of the next moment in front of us. And as our shoulders and arms get tired, there are Ginny’s sweet songs to carry us through to the next moment. It is mostly so quiet with only the sound of the water as it slips past the canoe and the sound of the birds in the distant trees. These are big moments when one’s mind is so present, and each thought appears and disappears without being noted. In the immensity of the moment even the surface of the water is not disturbed. Mind and body are not separate. All there is sky and water and nature doing itself seemingly effortlessly. Ginny and and I are two beings on a journey together, joined in this fragile boat in this moment that is gone in an instant. So when I think about special moments–a peek at the Net, the connection to the whole of life– I keep seeing in my mind’s eye the memory of drinking a glass of water in our light filled bathroom early in the morning. As I drink, the “I” disappears, and the water flows into the space I had occupied. In that moment it was the water of all life with no beginning and no end, boundless–the water that flows through all of us, all beings and the living earth itself. “I” understood that the possibility of even the most ordinary activity can be extraordinary if we are fully present for it–the observed and the observer are one with no separation. 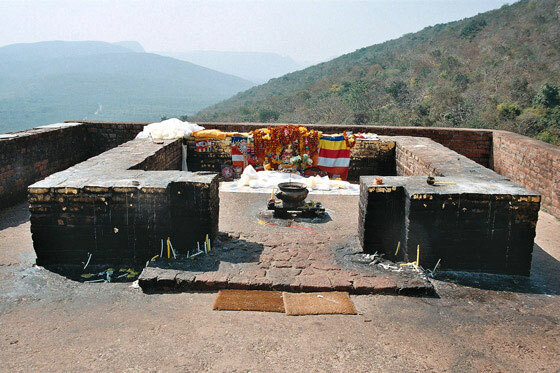 A group of us, some devotees of a Sect of Tibetan Buddhism with whom I had taken refuge, went on a devotional journey to India culminating in a trek up Vulture Peak Mountain and after reciting the Heart Sutra several times individuals were offered the opportunity to prostrate themselves individually before the open space of the valley below. Cushions had been provided for this purpose. I held back for a time, and perhaps was the last to engage in this act of devotion. The openness of emptiness became very pronounced. As I began my prostration a flood of tears emerged from my eyes and the profound emptiness was realized within the context of my vision in all aspects of my body and surroundings. A deep love infused my corporal nature. 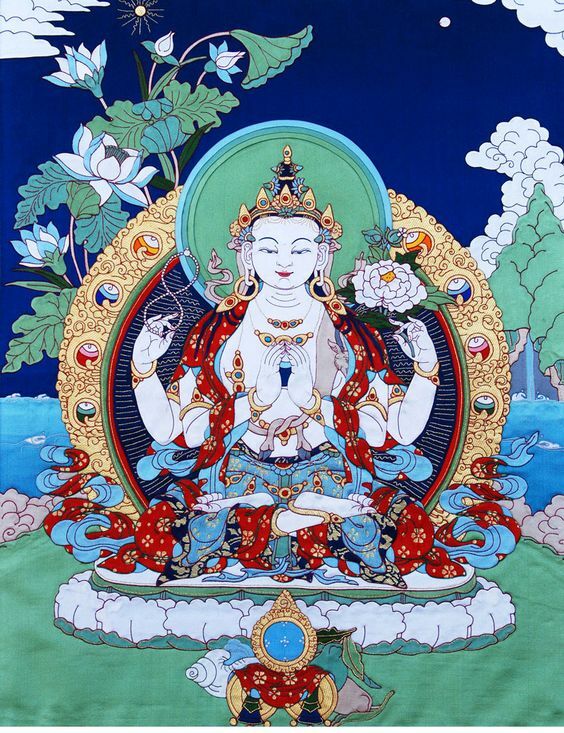 In ancient times, on Vulture Peak Mountain in Northern India, Avalokiteshvara is said to have arisen in the midst of a great gathering of bodhisattvas as The Blessed One entered into a state of samadhi and witnessed the discovery that all Skandas of presence are empty of nature. From this event comes the Sutra of the Heart of Transcendent Knowledge detailing all of the forms of nature wherein emptiness reveals truth as the absence of deception. For me, the Heart Sutra has become an instrument of truth and a source of peace over the years as it places my world view very clearly within the context of a community of many who share this realization. In Hungary on a Fullbright, I was given the opportunity to explore outside the country, and so embarked on a journey with friends into relatively less traveled terrain. Five of us, packed tight into a small rental car, left the plain lands of southern Hungary and made our way towards the mountains of central Romania. From day into night we drove on winding roads filled with old farm houses and stray dogs, until we left the paved roads for rougher dirt terrain passing now few horse-drawn wagons and fewer cars. Our destination was Bran Castle, but our inability to find accommodations in Bran had led us to instead seek respite from our journey in the small village of Sirnea – maybe 50 houses. The village, if indeed that, was epically beautiful, a sprinkling of houses high in the Carpathian mountains. It was dark as we traversed the bumpy road into the small mountain valley. We’d passed an abandoned house at the entrance of the dirt road, and continued toward what seemed to be a no less inhabited mountainside. The houses now dim in the late hour, the singular abandoned bus stop, tired and disoriented we traversed the small roads leading from house to house until our hosts came to look for us and directed to their home. We spent our first night unaware of exactly where we were. It was in the breaking of the light that the five us understood that our journey to Bran castle was blessed by this happy mistake. We had somehow stumbled into a nest in the high mountains. A place of unparalleled beauty, a remote Romanian village. Above us the mountains seemed to extend to the sky, and below us plummeting slopes gave way to deep forest. It was as if we had climbed to the highest mountain only to find that around us new mountains had sprouted and grown. Invited to one of our hosts cabins we journeyed by car past any visible road, driving instead over grass covered hillcrests. At the top of one hill we stopped and were led down what seemed a goat path, then stairs, until somehow precariously we came to a cozy wooden home stilted on one side so as to sit on the edge of a mountainside. There on the deck looking out over the world of mountains we were in awe. We found ourselves in a place so cradled by geography- . We were HELD by the space, and at the same time it was so vast, beyond containing anything. There was so much texture in everything, vibrant and full of life, it was impossible not to become all at once a part of it. On this beautiful grassy hillock, gentle and wild at the same time. You’re in it, and watching over it. We had found a place that had most certainly held many generations, where human and nature seemed somehow both vast and limitless, and of course intrinsically connected. Some 35 years ago, my wife and I were trekking in Nepal. Our journey took us through what’s considered by some measure as the deepest gorge on the planet – the Kali Gandaki. Spectacular multiple rainbows often embraced the ridgetops. But the most unique experience of the Gorge was the prolonged echo of rumbling thunder as it traveled the Gorge. We were surrounded, enveloped by the thunder bouncing among the peaks and plunging some 15,000 feet below us. My pursuit from childhood has been to learn how the world works. Because of its depth and length, Kali Gandaki enables thunder to echo – and we had the privilege to experience being inside this unique echo chamber. As a kid, you experiment with making echoes. But this was not caused by a shouting child. It was the geographic physics of the terrain. I have always felt different from my family & not until the last decade did I realize that I was a genetic throwback to ancestral lineages. As a young adult I focused intensely on raising my two sons & later as a single mother into establishing myself in a professional career as well. Religiously I was raised Christian but I was a spiritual seeker, finding myself at home in the contemplative arm of Roman Catholicism in college but later in Protestant churches losing my connection & turning to engaged Buddhism, in which I became ordained& took bodhisattva vows. But it did not bring me the connection with people for which I longed & I began to study earth-based spirituality/shamanism. With my children grown & my career established, I felt isolated & alone despite having a loving husband, when a friend & mentor taught me how to share energy with trees. Wow, I discovered I had friends all over town! I marveled at the different energies of different trees around me – ancient oaks, juniper, bay & tall tallsequoia sempervira/redwoods. I asked their permission & waited to sense a response, ready to leave them be if it was a “no” – but it didn’t happen. I sat or stood with my back to their trunks & felt their energy gradually flow through my body, slowing me to their pace & filling me with their sweetness & strength. I then asked them to take whatever they needed that flowed through me & thanked them for the connection & their generosity, leaving a kiss, a strand of my hair or some other tidbit in gratitude.An experience of 5 minutes tops, but I no longer felt disconnected & alone! Once I sat in the hollow core of an old redwood trunk & meditated, opening myself to the Universe. Shazam! I was transported into the cosmos surrounded by the blackness of deep space & swirling galaxies. I realized in that experience that this connection with what had formerly seemed inanimate was real, that even though I have a vivid imagination I did not create what happened. I could see the web connecting everything living on this beautiful planet, including the places in which this marvelous net was shredding. I poured my love & the light that flowed through me into those places. I began spending more time in meditation opening myself to The Void (from which all possibilities flow) & in sending light & love to the filaments of the web. I have also continued my connection with trees & expanded it to rocks, which I love more & more as I grow older. The backyard is fenced by chain links. The screen door off the kitchen is scratchy and leads there. I tiptoe out. I am 5 and my mother and sister are napping. I know they are tucked in and wandering through the landscape of their dreams. My bare feet navigate the cement on the steps leading to the short brown grass. They are happy to feel the stickiness of the blades as they make patterns on them. The sight of a hill of red ants awakens my breath. I maneuver around it and cannot resist the urge to fall on me knees to watch the lines of ants inching in and out of the hill. I am in awe. Their bodies are rust colored and shiny in the afternoon light. The spaces in between them in the lines are uniform. The ants are different sizes with different burdens to carry: a piece of rice, a cookie crumb, the corner of a bread crust. I crawl around after them wondering how far they are moving. 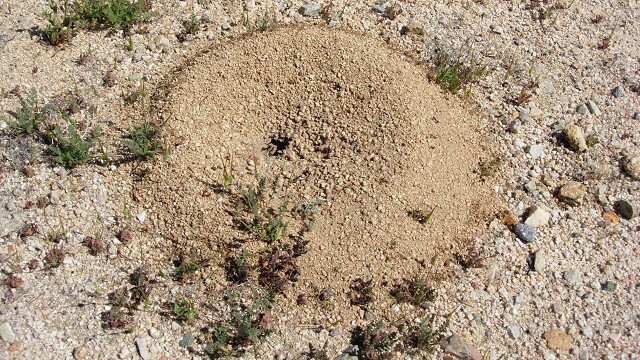 There are more of these big ants than I can count. I am aware of their pace, their organization. i hear a song in my head as I lie on the parched weedy earth. It carries me somewhere on their trails. The lyrics insist, “I’m gonna live, live, live until I die.” I have entered their realm. The synchronization of their paths, the certainty of their faith. I do not know these words yet, but I feel the journey of the ants in the lyrics. I am bitten by one of the red ants midway up my left thigh. It moves my attention from the reverie. I brush the ant off and hope it is not injured. I forget the sting. I am very much larger with this sense of the size of things. I crawl away from the ant lines. I am aware of the variety of the weeds and grasses in the backyard, each one making an impression in my knees and shins. I have made an impression too. I know they lie flat in some places but will rise up like me, like my mother and sister from their nap. The chain link fence is hot in the sun and separates me from the dusty meadow behind our house and our street, but I cannot endure the limitation. I find a sturdy little stick and sit tailor style poking it through a hole in the fence. I move the stick in the rhythm I recall from the song, “I’m gonna live, live, live until I die.” In and out it goes in time. My breath keeps the beat. My eyes soften. The sun beams sparkles on the tall weeds so their brown turns golden. I sense movement on the other side. I keep up the rhythmic moves. And I prepare myself not to jump or wince as a mottled little turtle arrives and snaps the stick right off My fingers are not able to retain the stub of the stick. The turtle backs up. So do I. The wind stirs up in step with the retreat of the turtle backing up from the chain link fence, the purloined stick swept from his mouth into the suddenly swaying grass. Breathing out, I feel the air pressure drop and smell the dust as it rises in a spiral upending the short grass and the red ants. So above, the flat yellow sun hides behind the clouds as grey as steel. The branches of the crepe myrtle bend and arch. I stand up and run with the rain. It runs cool and clear down my neck and back, over my bare arms. Not drops but rivulets all over me . And I turn, the rain running all the way down my bare legs to my ankles, my spine tingling with the grace of the liquid sky. Pulling off my shorts and shirt, turning again, leaning into the rain. The yard was too small for anything but running in circles. The cool sheet of rain fell over the hot hurt of my shame. The russet-throated sparrow desperately spreads her wings and rump over her nest of speckled blue eggs. The preying mantis flattens himself on the matted grass. The swallows hover and dive under the eaves. It was as if all of nature were taking an in breath. And then a rumbling commenced followed by a clap of thunder, the history of all the bolts before it resounding in the sky. The lightning did not hit the little grey house. 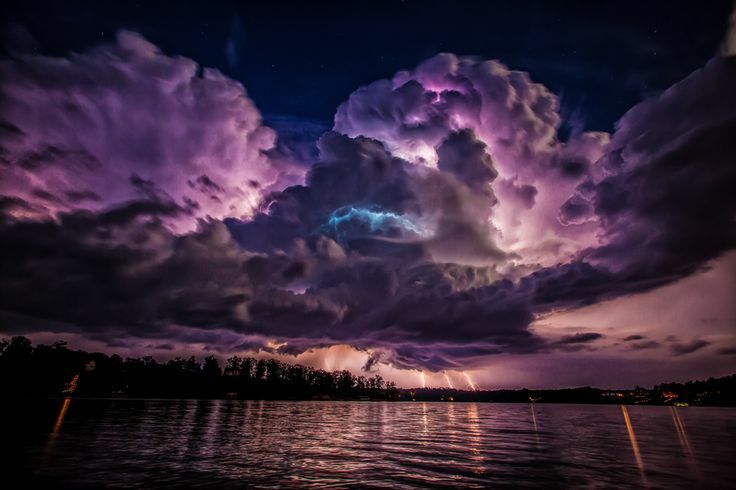 It was the same source of fire and rain the storm had seen before. All storms were connected The rains enveloped the backyards, the roads, the trees ants, turtles. The sparrows were utterly drenched, stripped of any certainty of survival. Then, without a sign, the storm that lurked in the secret recesses of the wind receded. The clouds loosened. The sun sent her rays down to the newly baptized earth. The creatures who had not drowned looked up in wonder at what had passed and what would return. Once in a while, we’re blessed by a peak experience – some feeling or event that confirms “Yes! This is it! I’m just where I belong. Whatever else happens, I’m alive in this moment, and fully present!” Do you recognize that feeling? Jo Coffey once invited me to view the sunrise with her from a favorite spot on San Bruno mountain. We followed the faint beginnings of a footpath through fields of brown grasses and bracken fern, sparsely studded with chaparral. Hillsides were covered with Pearly Everlastings, their downy, gray-green stems and leaves topped with clusters of silver-white blossoms, and the flower of Lizard’s Tail added splashes of bright yellow. We welcomed the day from a place were we could see the shoreline of San Francisco Bay to the east. As we arrived, the sun began to rise above the horizon, and a small arm of fog came in from the ocean over the San Bruno summit behind us. The fog streamed toward the east, rushing to meet the sun. As the fog touched the sunlight, its drops of moisture were filled with pink radiance. Before us, two sage plants sparkled with with the delicately colored veil of mist. The same gentle breeze brought imperceptible moisture to our own bodies, and I looked down to see if our arms sparkled in the way the sage did. As the fog bank on the Diablo range reached up toward the sun, the golden light created a silvery path on San Francisco Bay’s water, and on the rooftops of buildings below us. Behind us the full moon began to wane as streams of silver sunlight reached westward toward it before it left for the day. A cycle played out around us, wrapping us in relationship and rhythm as we were embraced by the sun and moon. In a moment, the spell was broken, the moon disappeared, and the sun took on its full daytime character. Everything was in place. We can’t plan for moments like this, can’t contrive to make them happen. But I believe there are places of power, particularly at dawn and dusk, where we can more easily be touched by such magic moments, when the forces of Nature enfold us. What happens in that moment becomes part of who we are, part of what sustains our awareness of belonging to the universe. “For me, connecting with nature is – out of my mind, into my heart, my body and my breath and breathing with the plant, animal, clouds and experiencing kinship wityh these beings. Eyes, nose, skin and feet open to receive. These experiences change my spiritually as I continue to seek and anchor those experiences in my life, being aware of being connected all ways, always. 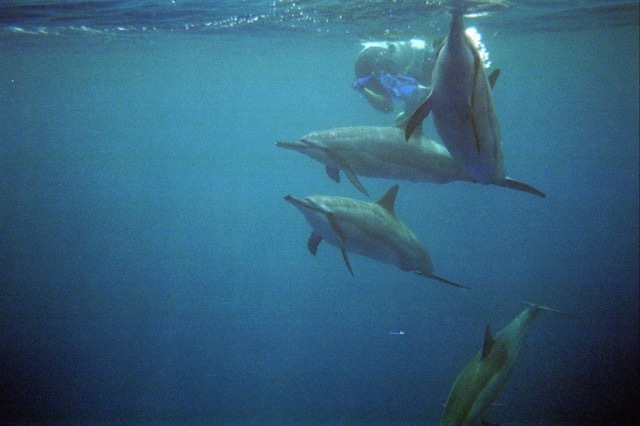 One of my lifelong dreams has been to swim with dolphins in the wild. So on the Big Island, I signed up for a kayak tour with the dolphins, thinking that then I would know where to go swimming to try and be with them. The kayak was perfect! Spinner dolphins jumping and spinning! I was so excited I wanted to jump out of the kayak – but we were not allowed to. Such a sense of thrill and beauty watching these mammals play with us and have fun! Well, the next day I went to snorkel alone at a beach called “Two Steps”. Dolphins were known for going to this area. Out I go with my snorkel and mask. I see nothing. Then I turn around and I was surrounded by 20 dolphins! It was heaven! I wanted to talk to them, but I couldn’t due to the snorkel. But I could hear them making their squeaking sounds if I breathed slowly and quietly. They would come right up to me to take a look, then dive down to the ocean floor. I was so excited!!! After about 20 minutes off they went. The following week, I went back with a friend in search of dolphins. I would sit on the beach looking out on the horizon hoping to see more dolphins. I was ready to quiet, when suddenly I saw fins. “There the are,” I shouted, and off I went. I jumped, slid into the water swimming as fast as I could to be with them. I fund them. A small pod, about 6, but who cares? I was with the dolphins again. They had been sleeping on the floor, woke up and came for a visit!! I will always remember this, as it just sticks to my soul and memory. Ginny Anderson is an eco-psychologist who works with individuals and groups in outdoor settings to help them develop and expand relationships with the natural world we inhabit. Ginny is a licensed psychologist, with a Ph.D. from Stanford. She maintains a practice in the Bay Area.